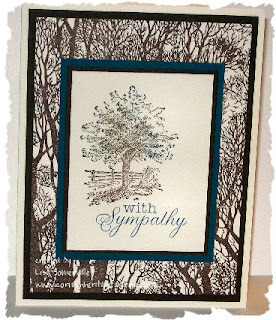 I love how you did these sympathy cards. I love the color and uplifting feeling of them. I must say I have really enjoyed reading your blog and seeing your work. I am honored to be on the AO design team with you. Both card are great, the tree card looks so manly man!! I do need to make some sympathy cards. 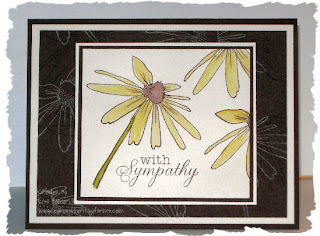 I live in a small town with one Rite-Aid and when someone passes away I'm sure we wipe out the entire inventory of sympathy cards, all two designs!